Wine Korea’s Joshua Hall is an interesting cat. 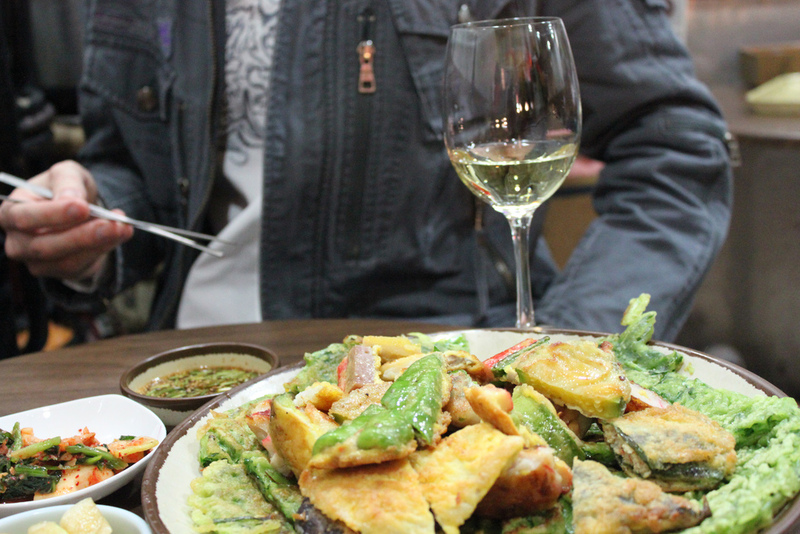 He’ll take a $50 bottle of wine to a simple Korean dive because the pairings fit. I had the pleasure of sharing this German Riesling with him at a hole-in-the-wall pajeon joint in Yeoksam-dong last week. The wine was W34,000 (cheap by Joshua’s standards), and the mixed jeon was W7,000. The effed up thing about this is that it worked. It actually worked. If you want to know more details about the wine and such, read all about it on Wine Korea.